In the early ‘80s a united Europe was but a dream to which a handful of idealists clung firmly in spite of the many well-meaning declarations of intent. However, already at that time the need for a European education for the new ruling class was becoming increasingly acknowledged. It was held that young people had to be educated towards a new idea of Europe, a Europe no longer considered as a combination of States (which were autonomous, yet at the same time competing with each other), but rather as a common motherland founded on a vast common heritage of culture and history dating back several thousand years. It was thought that this common “culture” in itself could give content to such a utopia. Indeed, Universities were quite rightly identified as an indispensable tool to help prepare for and support the European Union. Thus the European University had to be created from scratch, as it was not to be a poor imitation of any national university or, worse, a superimposition over existing structures, but a complementary post-graduate school of further education. 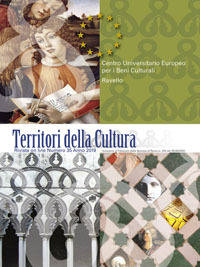 Within this context the European University Centre for Cultural Heritage was set up as a pilot Centre for the establishment of what should become the European University for Cultural Heritage.